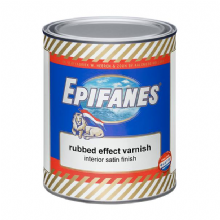 Epifanes Rapidclear is the answer for a quick and easy alternative to conventional varnish. 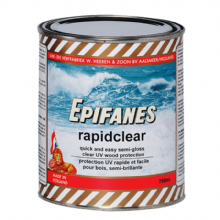 Rapidclear is a superior quality, semi-gloss finish for marine woods interior and exterior. Rapidclear provides an enhancing U.V. 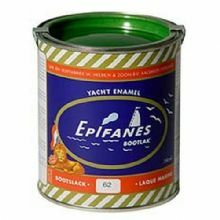 protecting film which bonds well to teak and other oily wood, preventing discolouring and emphasises the natural grain of the wood. 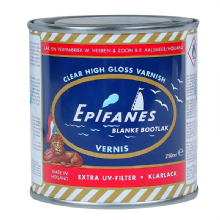 Excellent weather resistance, maximum durability, U.V. 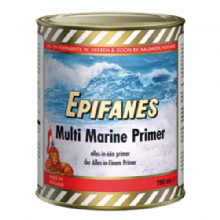 protection and longevity.